Thank you Jenaca for the nomination, very sweet of you! 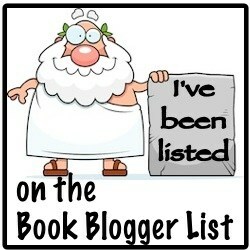 Everyone should check out her blog over at Jenacidebybibliophile and also her post for the Sunshine Blogger Award here. Dogs or Cats or Hamsters and why? DOGS. DOGSDOGSDOGS. Always dogs. I have one and she’s adorable, I am not a fan of cats, and I’ve never had much of an opinion on hamsters. If you could live in any period and any place in time when and where would it be? I would choose either right here, right now, or the time of cavemen because it strikes me as a much simpler time. What is the last book you hated and why? I don’t hate many books, so probably Fifty Shades of Grey because it’s essentially abuse disguised as a romantic love story. Also TERRIBLY written. Favourite author and favourite book (not necessarily by the same author)? Favourite author is Joanne Harris because she’s super talented and her books are really diverse (she’s got vampires, Norse mythology, French romance, etc, etc). Favourite book is The Call of the Wild by Jack London. I just love it. What is something you wish people knew about you? I wish people knew that I’m actually pretty friendly. And that all employers knew I’d actually be a fantastic employee so HIRE ME. What is your favourite type of character in a book? I love a villain, of course, as long as they’re either really sassy or super evil (think Hades from Disney’s Hercules or President Snow from The Hunger Games). I also love a strong female lead BUT ONLY IF she’s not whiny, irritating, or involved in any love triangles. I love TV so there are a few. To pick just one I’d go with Gossip Girl. Disneyland. 100%. I’ve only been to Paris but I imagine the American ones are also fantastic. Otherwise, somewhere with sunshine, things to see and great food (i.e. Italy). What 3 famous/fictional people, living or dead, would you want at your fantasy dinner party? To be honest I’d probably pick people like Joey Essex, The Rock and Anna Kendrick because I just think we’d have a hilarious time. PEOPLE TALKING TO ME WHILE I’M READING. I’m sitting here, minding my own business, reading my book. Please, just leave me alone. I’m not going to write a new list of questions because I’m feeling lazy so, if you want to do the tag, answer than same questions as me! Fun answers! And I DEFINITELY agree that dogs are the best!